Teaching religion in a traditional classroom setting is just one part of the strong foundation of faith built at the school. Each school day begins and ends with prayers. Priests and seminarians are actively engaged in classroom visits, bringing their faith journeys and their vocations to life for the children. Outings to special points of interest, like the Basilica of the Shrine of the Immaculate Conception and Mt. St. Mary's Seminary are always favorite field trips for students and their parent chaperones! The sacraments are an ever-present part of our days at school. Every Friday, the student body attends Mass together at school, and on the First Friday of each month, Mass is held at the church. Additionally, we have Mass on Holy Days of Obligation. On Fridays, throughout Lent, students pray the Stations of the Cross together at the church. Second graders are prepared for First Penance and then First Communion. Similarly, eighth graders prepare for Confirmation. These are special years at The Basilica School of St. Mary. The halls of The Basilica School tell a similar story. They display an amazing collection of masterpieces made by little hands and inspired by faith. 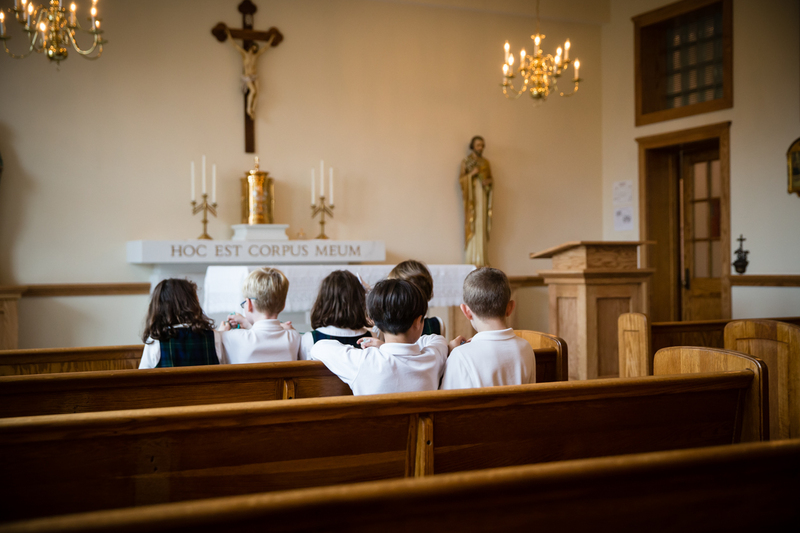 On Wednesdays, you may see a line of middle school students waiting to go to confession during their lunch break; and on Thursdays, you may find a class waiting to go into our chapel for Eucharistic Adoration. These are all simple and beautiful reminders of the Lord's presence in our every day life at school. Additionally, the school offers a number of extra-curricular activities that continue our student's spiritual growth and formation. Altar Service, for our boys in grades 5-8. They make up a large number of the altar servers of the parish. They serve at our school Masses and funerals throughout the year. Junior Sodality and the Junior Catholic Daughters of America equally work to develop our girls' faith in grades 5-8. The girls take care of the sacred vessels used at our school Masses. And all thy children shall be taught of the LORD; and great shall be the peace of thy children."